Religion without philosophy is sentimentalism, while philosophy without religion is mental speculation. 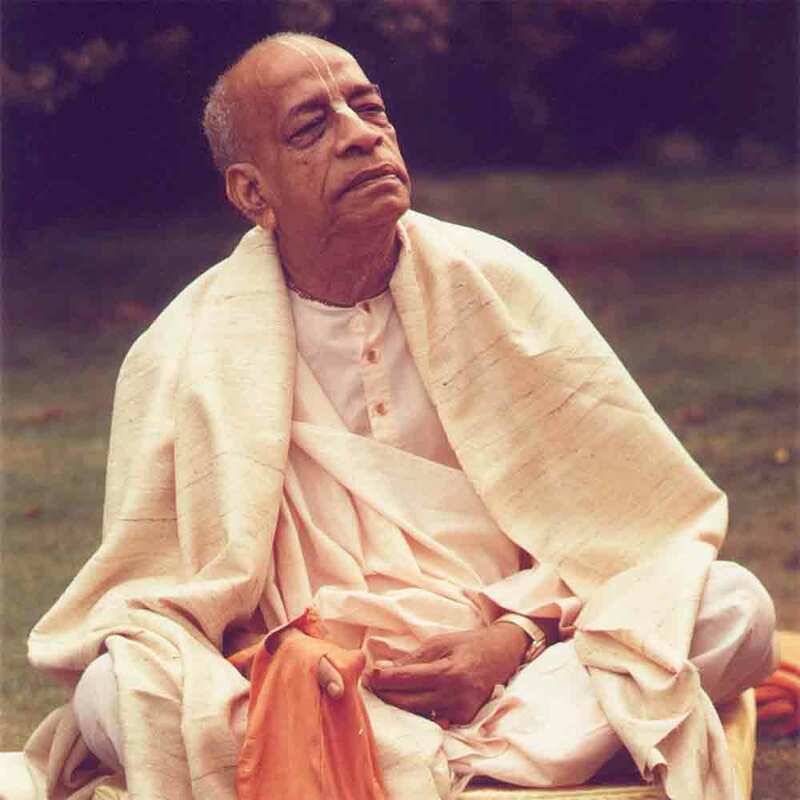 The ultimate goal is Kṛṣṇa, because the philosophers who are also sincerely searching after the Absolute Truth come in the end to Kṛṣṇa consciousness. The whole process is to understand the real position of the self in relation to the Superself. 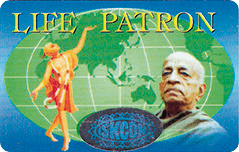 Become a Sevak & Avail ISKCON’s International Life Membership FREE!!! Latest news and announcements from ISKCON Tenerife about New Jagannatha Puri Vedic Cultural Centre, Govinda’s and MOSA Museum of Sacred Art. For only 6,95€ you can enjoy our buffet bar, which offers a daily selection of eight different vegan and/or vegetarian dishes. You can choose anything that you like. We offer an all-you-can-eat dinner buffet because we want you to be satisfied. 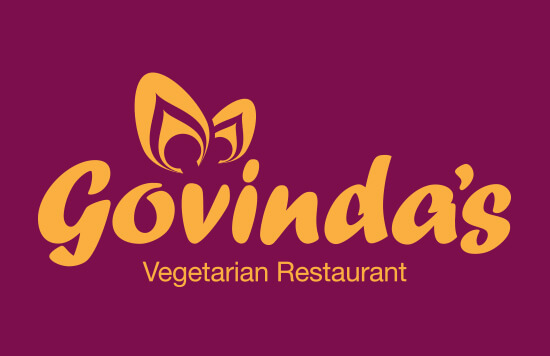 Govinda's restaurant is open. 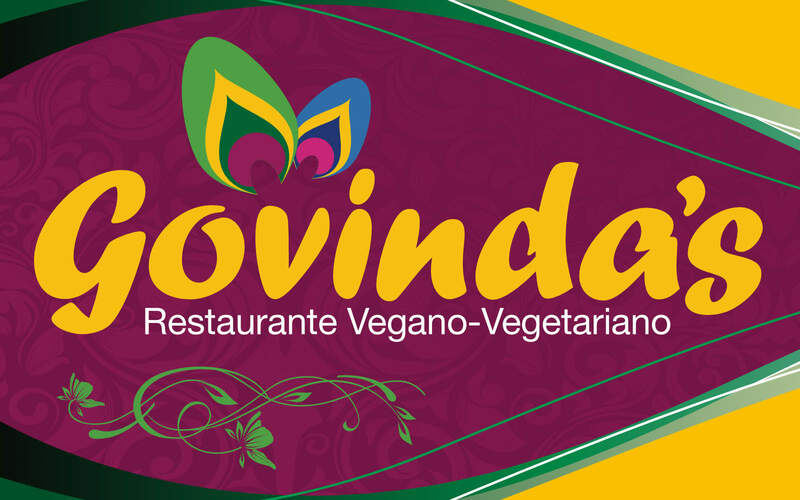 We welcome everybody to enjoy a healthy and vegetarian meal. Whether you choose our daily menu or prefer pizza and hamburgers, we will ensure your satisfaction. 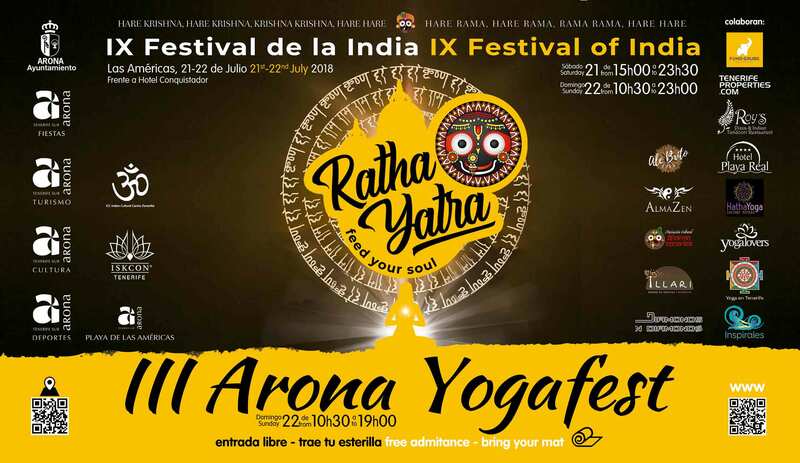 Sunday July 22, 2018, ISKCON Tenerife will host the Ratha Yatra parade in Playa de Las Américas. The festival starts on Saturday July 21 with many activities like a market, theatre performances, dance and movie. The International Society for Krishna Consiousness have the honor of inviting you to the Grand Opening Ceremony of the New Vedic Cultural Centre “New Jagannatha Puri”, Playa de las Américas, Arona, the 16th of March at 20:00h. Hare Kṛṣṇa, Hare Kṛṣṇa, Kṛṣṇa Kṛṣṇa, Hare Hare, Hare Rāma, Hare Rāma, Rāma Rāma, Hare Hare. 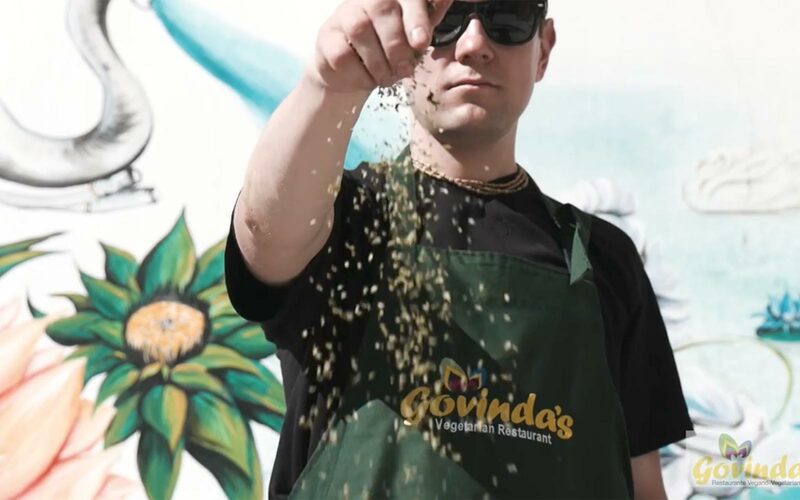 Latest news and announcements about the world famous vegetarian restaurant Govinda’s in Playa de las Américas, Tenerife. Krishna is one of the names of God. 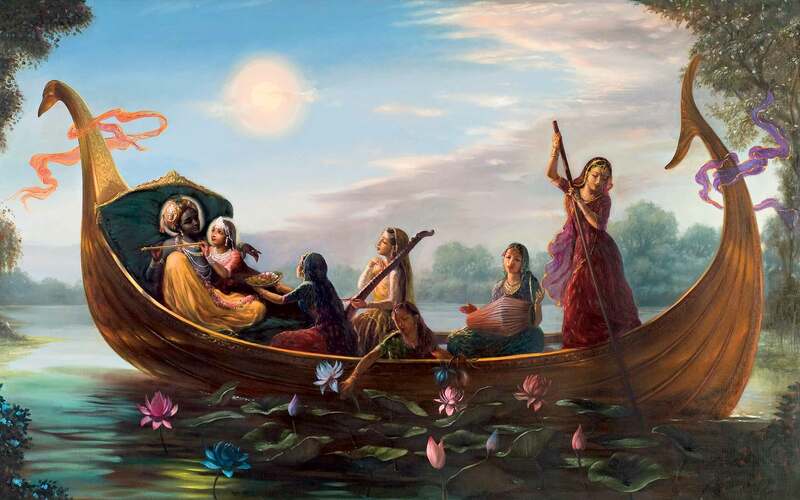 The name Krishna means “all attractive” in Sanskrit. 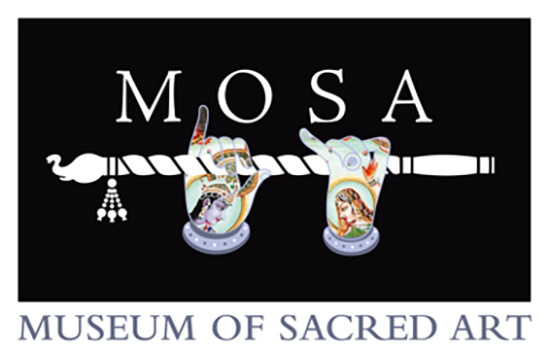 Latest news and announcements about MOSA Museum of Sacred Art in Playa de las Américas, Tenerife. 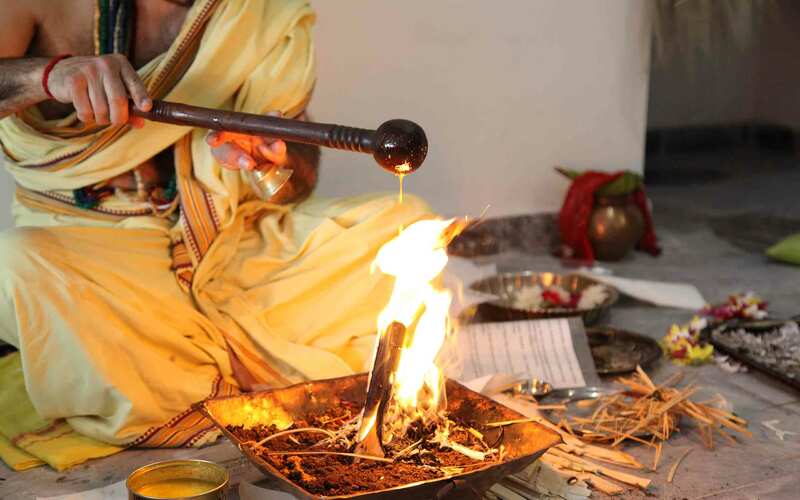 The New Jagannatha Puri Vedic Cultural Centre will host a branch of MOSA, Museum of Sacred Art. Originally from Belgium’s Radhadesh in Durbuy, thereafter starting a branch in Italy at Villa Vrindavan near Florence, MOSA will now expand to the Canary Islands.